From Black to Red: How did the projected federal surplus for 2015/16 turn into a big deficit? 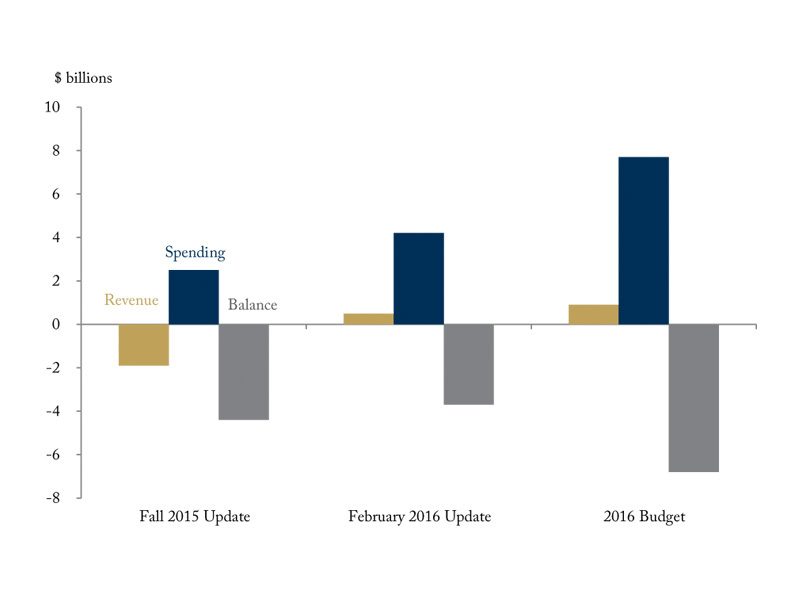 In each federal budget update since the 2015 budget, the projected budgetary balance for this fiscal year has moved successively further into the red. But this is not due to lower revenues – which are higher than expected – but rather because of higher spending. In this edition of Graphic Intelligence, we see how this year’s federal budget balance moved to a deficit in budget 2016.